While netbooks have fallen out of the public eye, the victim of tablets’ sudden success, the platform is still being developed and manufacturers are still producing new models. 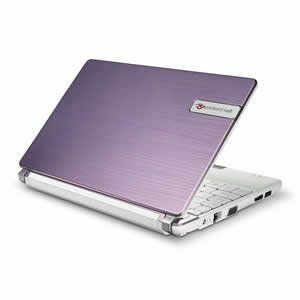 One of these is the unit that we’ll be looking at today, the Packard Bell Dot S. The new netbook includes a recently-released Intel Atom “Cedar Trail” dual-core processor and an interesting look, but will that be enough to set it apart from the pack? Let’s have a look! The Dot S comes in a reasonably sized box, with the various colour options on the front so you can immediately think about getting one of the other colours instead. The box has a weird metal ring pattern in the background and the Packard Bell logo is a little dated in my eyes. 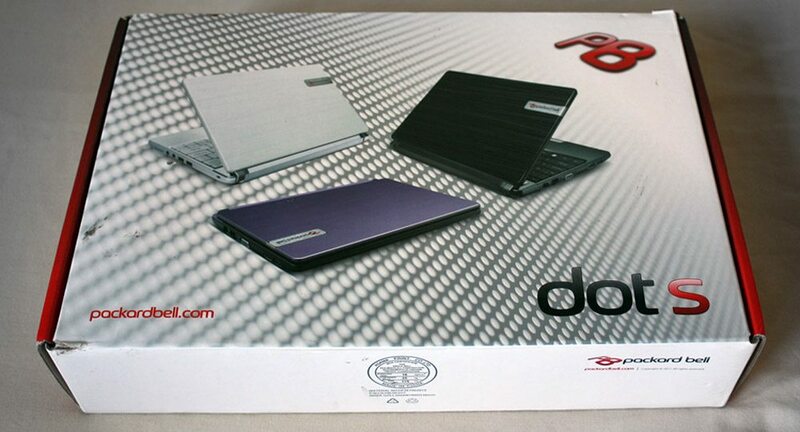 On the back, there is another picture of the black / purple version of the netbook, which I would have guessed would mean there is that colour inside, but no! This is not the case. There are also plenty of warning labels here, although I’m not sure these are standard. 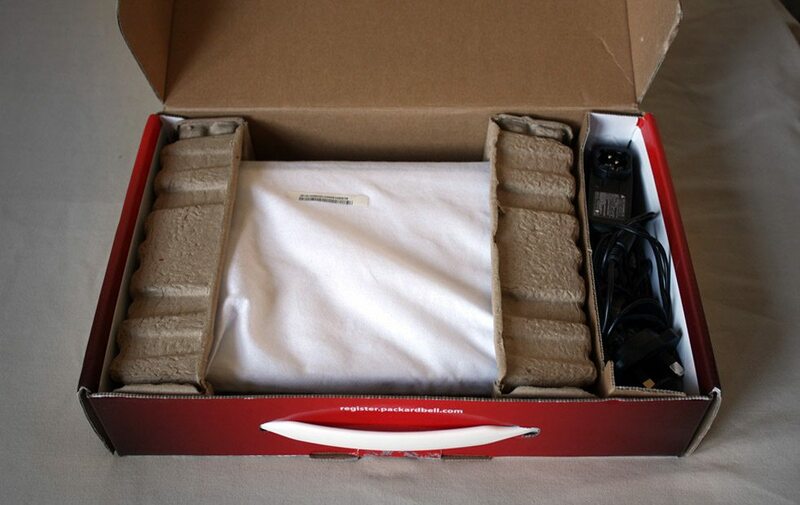 Opening the box, we see the laptop is nicely wrapped in some white pseudo-cloth and placed within two cardboard buffers, with the cables off on the right hand side. 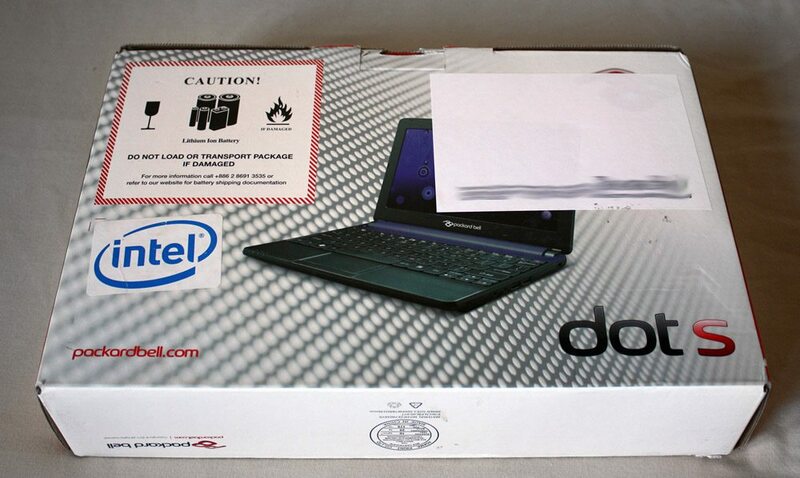 All you get in the box is the netbook itself and the power cables, which is fair enough. There’s also a quick start guide if you’re looking for some reading material, but the netbook should work easily enough out of the box. 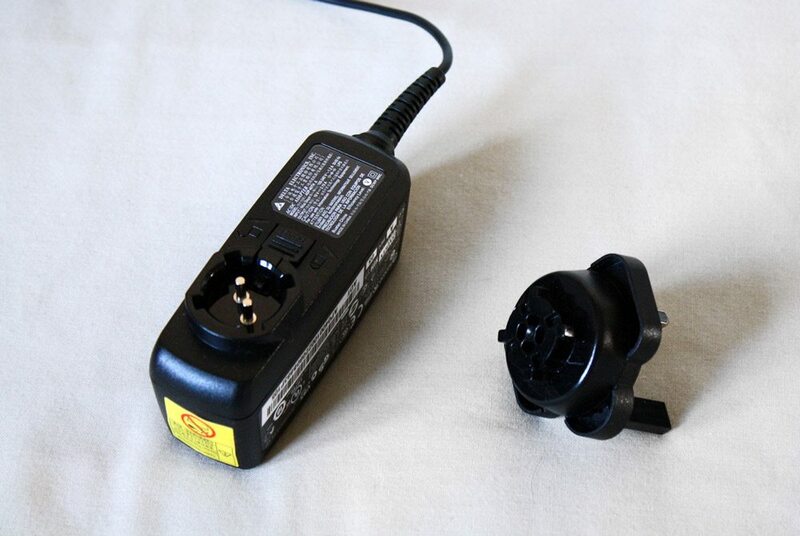 The power cable is actually quite well constructed, with a clever rotatable plug mechanism; you can have the adapter facing in any of four directions to suit the socket space that you have available.